Why You Should See It: Good cast and good director. Why You Should Avoid It: Because you're an adrenaline junky and this looks like it could be a slow burn. And the Magic 8 Ball Says: A solid yes. Why You Should See It: To see the future Dark Knight share the screen with JT. Why You Should Avoid It: Because Timberlake's other serious theatrical endeavors have been weak at best. Why You Should See It: Because you just can't get enough of those "based on true events" movies. Why You Should Avoid It: Because your vision of pirates begins and ends with Johnny Depp's portrayal of Captain Jack Sparrow. And the Magic 8 Ball Says: Rental, anyone? And the Magic 8 Ball Says: No. No. No. Why You Should See It: Because it features a very talented ensemble. Why You Should Avoid It: Because a film about beatnik poets is definitely not everyone's cup of tea. And the Magic 8 Ball Says: You're on your own on this one. Why You Should See It: Because this "based on a true story" film is getting a ton of Oscar buzz. Why You Should Avoid It: Because the movie is very heavy handed. Why You Should See It: Because this oscar contender features a cast of one - Robert Redford. Why You Should Avoid It: Because you want to someone else on screen besides just Robert Redford. Why You Should See It: Chloe Grace Moretz has proven herself to be a solid performer. Why You Should Avoid It: Because this is just another remake that did not need to be remade. 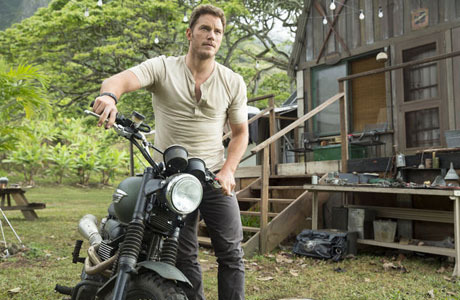 Why You Should See It: Because the film features two iconic action stars. Why You Should Avoid It: Because the iconic action stars are both really really old. And the Magic 8 Ball Says: Pass. Why You Should See It: Because the evolution of WikiLeaks is a fascinating story. Why You Should Avoid It: Because not every fascinating story translate to a major motion picture. Why You Should Avoid It: Because it features a past-his-prime director in Ridley Scott. And the Magic 8 Ball Says: Pick 'Em. Why You Should See It: No reason. Why You Should Avoid It: Every reason possible. And the Magic 8 Ball Says: The title of the movie says it all. No way. To say that Prisoners is a set in a cold dour place where hope goes to die would seem an understatement. From gray skies to weathered buildings to the malaise of mid-life domesticity, the world the film depicts is outwardly bland but inwardly reeks of silent oppression. The film then poses the question of what happens when tragedy strikes; that silent oppression boils over; and those internalized feelings of desperation become externalized? So you could say that a Sunday stroll in the park, this movie is not. But just because Prisoners may not be fun, doesn’t necessarily mean it is terrible. The film finds the Dover family spending Thanksgiving with the Birch family at their home. During the course of the festivities, the youngest of each family – Anna Dover and Joy Birch – go missing. 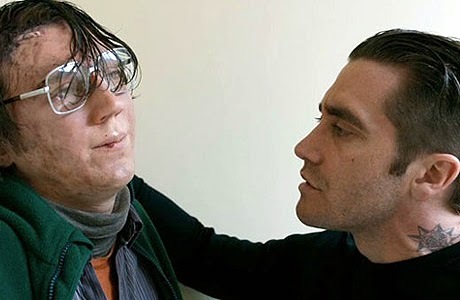 Initially they are presumed to have gone for a walk in the neighborhood, but when a search proves futile, Detective Loki (Jake Gyllenhaal) is called in to investigate the case. With many leads in play, Gyllenhaal’s Loki launches a search that takes the investigation deep into the town’s past and uncovers some dark secrets. You could look at this synopsis and assume it’s your typical small town narrative featuring a cop who works the suspects through a number of plot twists until the criminal mastermind is revealed in the third act. On some level, this would be true, but that would not do director Denis Villeneuve and writer Aaron Guzikowski’s film justice. There are religious undertones that delve into the nature of relationships between father and child as well as wife and husband. Sure, the film features physically gruesome acts and moments of thrilling tension to keep the audience on the edge of their respective seats, but this film is ultimately an intense character sketch. A lot of what works about this film begins and ends with Hugh Jackman as Keller Dover. One of the most recognizable stars in the world, he disappears into this role in impressive fashion channeling the requisite raw emotion and intensity. He has the unique challenge of making the audience empathize with his character even during those moments where his actions might make it difficult to do so, but his commitment to the role allows him to pull it off. His work in this film won’t garner the praise and recognition of some of his higher profile roles, but it is every bit as good. 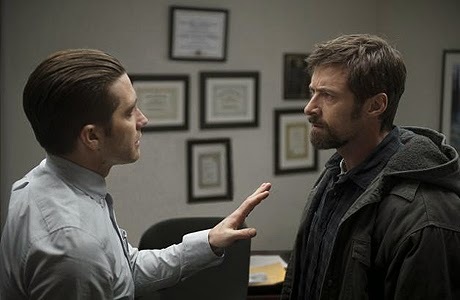 Working opposite Jackman is Jake Gyllenhaal as Detective Loki. I have to be honest and say that it was not his best work. It was not even his best portrayal of a police officer. That distinction would have to go to his work in End of Watch. In this film, he is wildly uneven and inconsistent, making it difficult to wrap your head around the character. Some of these issues have to be script related as the Detective Loki at times acts and reacts in a way contrary to what we’ve been told about the character, but then Gyllenhaal does nothing to help. By failing to embrace the role with vigor and to make the character his own, he fails to smooth out some of those wrinkles. Then there is Terrence Howard as Franklin Birch. Depending on whom you believe, Howard was bounced from Iron Man 2 for either his inability to act or to the size of his contract for the sequel. After seeing him in this film, I am convinced that it was the latter. His performance is an epic fail from start to finish punctuated by a couple of instances where his acting during grave moments actually elicited laughter from the viewing audience. And believe me when I tell you that this is exactly the wrong kind of movie for an actor to be unintentionally funny. Two members of the cast who faired better are Viola Davis and Paul Dano. Davis (as Nancy Birch) is strong yet vulnerable as a grief stricken mother and she channels all the emotions as an actor that Terrence Howard cannot. Dano also turns in good work as Alex Jones, a young man suspected of kidnapping the two girls. It’s not easy to be simplistic, detached, undeveloped yet menacing all at the same time, but he does so despite the paucity of spoken lines. 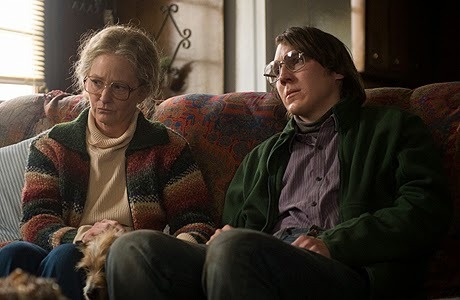 As for the rest of the cast, Melissa Leo is satisfactory playing Holly Jones (kin to Alex Jones) but gets props for the physical transformation she undergoes to play a much older woman. Maria Bello is also satisfactory as she plays the grieving mother by the book, just hitting the right notes at the right time – nothing more and nothing less. And the younger members of the cast, they collectively do just enough not to stand out but then not much else is truly asked of them. 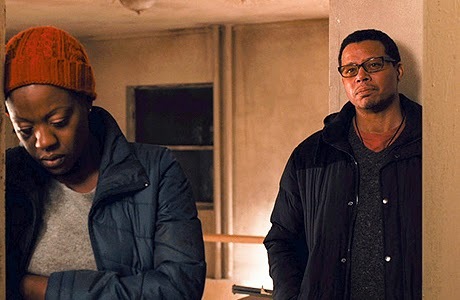 When you pull all these pieces together, it is clear that Prisoners is at the least a decent film from a technical aspect; tension and drama from a character-driven script, strong acting from the lead, and a few gems from the supporting cast to add depth and greater weight to the stakes embedded in the narrative. Still, I don’t think this is a movie for everyone. I am always the first to say that at the very least, a movie should be fun and entertaining and this one is definitely not the former. Instead it’s trying to pull you into this place where it is cold, dark, and conflicted. So if this sounds like your cup of tea, I would encourage you to give this one a look on DVD after its theatrical run. For everyone else, catch it on cable somewhere down the line or take pass altogether. It probably won’t make any of your top ten lists, but it won’t compel you to swear off movies forever. Standout Performance: Hugh Jackman. A gifted triple threat performer who truly embraces all that this role requires. If you want to see a textbook example of how a little success can lead to terrible excess take a look at the movie Pitch Black and its sequel The Chronicles of Riddick. The former is a low budget action/thriller that grew into a cult classic by masterfully weaving isolationism and anti-heroism into a taut space narrative. And because of that success director David Twohy was given the green light for a massive $200M+ budget to build a grand sci-fi space epic centered on Pitch Black’s protagonist, Riddick. As it turns out, the increase in budget was indirectly proportional to the quality of the movie as Chronicles flat out stunk; leaving the franchise dead-in-the-water. Only nothing is really dead in Hollywood and thus nine years later, Riddick has made its way into theaters. 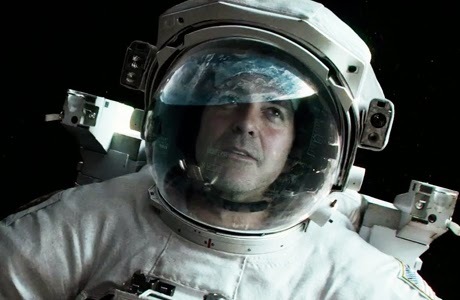 The plot of the movie finds the title character (Vin Diesel) stranded on some unknown planet in what can best be described as a hostile environment. How he got to that place and why he is so gruesomely injured is explained in a series of flashbacks that connects this movie to its predecessor. 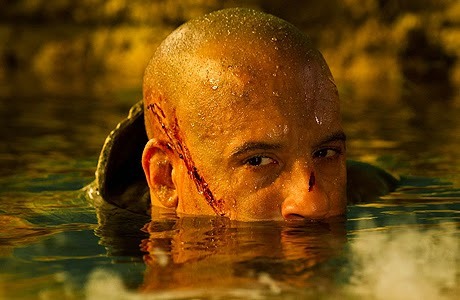 When a series of environmental shifts makes the planet no longer safe to inhabit, Riddick sets off a beacon to attract mercenaries to his location in order to escape the planet. Death and destruction ensue. Right off the bat, I have to give director David Twohy credit for going into this film with full understanding of why the first film succeeded and the second tanked. It is clear from the scope, plot, and pacing, that he and his creative team are trying to get back to Pitch Black’s winning formula. Only they are a bit too zealous about it. While it’s not a carbon copy in the same way that The Hangover 2 is to The Hangover, it’s a little too close for comfort. So as you watch Riddick unfold, you are getting a distinct “been-there-done-that” feeling. 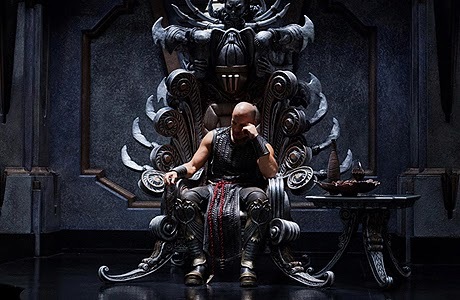 The second problem with this film is that the creative team is so intent on distancing themselves from the stink that is The Chronicles of Riddick that they dedicate the first half of the film to scaling the narrative down to one of pure isolationism. Sure there are CG monsters wreaking havoc from time to time, but most of this is all about Vin Diesel. And with all do respect, he is not nearly enough of an actor to pull this off. Don’t get me wrong. He is very entertaining in the right role (Fast & Furious), but Tom Hanks in Castaway he is not. Still, the movie is not all bad. While the balance of the film is questionable, Twohy does a nice job of pacing the more tense scenes and likewise does a good job framing the action. No one will mistake this film for a deep artistic portrait with thoughtful character development, but the narrative does allow for some fun interplay between the supporting players; a most necessary plot element as there’s nothing like a bit of comic relief to mask whatever is ailing a flawed action film. Because the film has its short comings its easy to put that blame on Vin Diesel, especially because the first act is all on him. But really, I think it’s a case of misusing his talent. He’s not a great actor, but the Riddick character is proven to be something well within his range. So why then does this not work the way it should? The simple answer is that it is just too much Diesel. In the original film, Diesel’s character spends the first half of the movie in the background and in the shadows lurking, while Radha Mitchell and a capable cast of characters push the plot forward. And if the creative team should have learned anything from the second movie (besides the pitfalls of big budget excess), it’s that the character of Riddick loses its venom when you peel back the layers and over expose him. Unfortunately, that’s one error that wasn’t corrected. The supporting cast fares a bit better but not on the up and up. 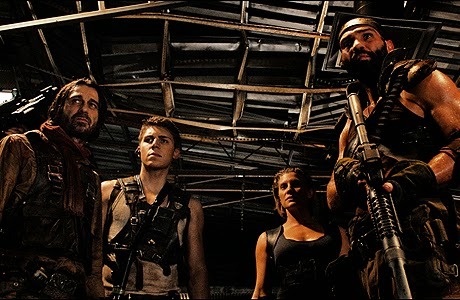 Other than Katee Sackhoff, no one turns in a performance that would be deemed good, but Jordi Molla, Dave Bautista, and Bokeem Woodbine are entertaining in a way that is befitting of a campy B-movie. It’s not always smooth and often times their scenes are almost darn near clunky, but they deliver some of the better chuckle inducing one-liners. As for Matt Nable, he plays things very straight, but is perhaps the most uneven of all the performances. Sure, there is supposed to be an element of ambiguity to his motives, but at times it feels like Nable is completely lost in what he is trying to accomplish. So if I had to rank the three movies, I would place Riddick between Pitch Black and Chronicles, but closer to the latter in regards to quality. It’s a movie that never had to be made and probably got the go ahead only because Diesel headlines Universal's cash-cow-of-a-franchise - Fast & Furious. I definitely would not suggest you run out to the cinema to watch this, but if you’ve seen the first two movies then I would not blame you if you were to give this a look. It won’t make you hate the franchise more and will give you a measure of closure (as if you really needed it). But if you’ve never seen any of the movies, I would suggest you go out and rent Pitch Black and forget that any sequels were ever made. The movie works well as a stand-alone flick and will leave you entertained. Standout Performance: Katee Sackhoff. No stranger to the sci-fi sphere, Sackhoff channels the snark and grit that made her a fan favorite on Battlestar Galactica and uses it to turn in the best performance in the film. F. Scott Fitzgerald is in my opinion the greatest American author of all-time and The Great Gatsby is the work for which he is most recognized. While I would argue that it is not nearly his best work, there is no denying that it is one of the truly seminal pieces of literature of the twentieth century. And while Robert Redford’s cinematic portrayal of Gatsby in 1974 is by no means perfect, it is in many ways the enduring visual representation of the character. Thus, with all these things consider, director Baz Luhrmann’s and Leonardo DiCaprio’s endeavor to bring the novel to the big screen in a way that resonates with movie goers today, had to be viewed as nothing less than an incredibly challenging undertaking. And much to my chagrin, it seems the duo bit off more than they could chew. 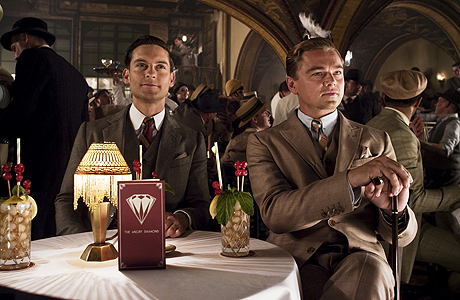 For those of you who didn’t pay attention during high school English class, the plot of the film follows Nick Carraway (Tobey Maguire) as he navigates the social circles of New York City in the 1920’s. 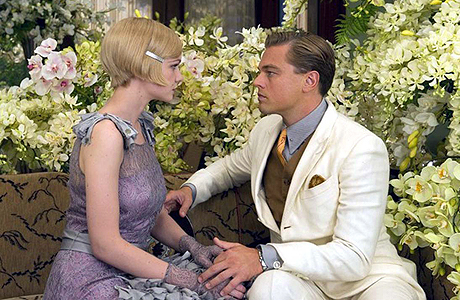 Through his eyes we see the story of Jay Gatsby (Leonardo DiCaprio), an eccentric man of great wealth, who has established an extravagant lifestyle for the purpose of winning back the love of his life Daisy Buchanan (Carey Mulligan). 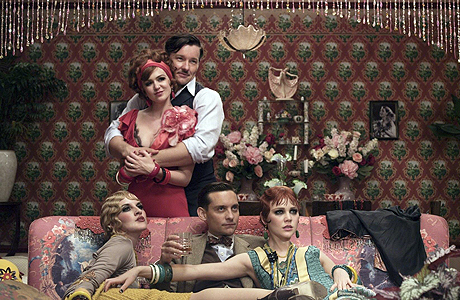 Unfortunately for Gatsby, she is married to Tom Buchanan (Joel Edgerton), a man who represents the physical embodiment of the excess and soullessness that permeates the narrative. On paper there was so much to be excited about in regards to this movie. Beyond the fact that it's based on Fitzgerald’s novel, it was hard not to formulate grand expectations for movie that features a cast loaded with names like Leonardo DiCaprio, Carey Mulligan, Joel Edgerton, Jason Clarke, and Isla Fisher. It is without a doubt a dynamite ensemble from top to bottom; one that screams Academy Awards season. That, coupled with a director in Baz Luhrmann who has such a distinct visual flair, really had me convinced that this version of The Great Gatsby would be an absolute hit. And then it wasn’t. I think for me this movie fails on two levels. The first has to do with Baz Luhrmann’s directorial choices. On the surface his cinematic panache makes a ton of sense given the time in which the movie is set, but what his style over substance approach fails to capture is both the banality that underlies the excess and the quiet sense of desperation that afflicts the protagonists. Instead we get just the big parties, fancy cars, lavish shapes and colors. Without that deep sense of disconnect to balance those sights and sounds, the film start to play like just a series of loud noises and big sets. And while I give him kudos for taking his usual scoring risk, nothing about Jay-Z’s music in this film works on any level. My second issue with this film is with the casting, which is such a huge disappointment because the project is littered with a ton of talent. The problem with the casting is the disconnect between the talent and their respective roles. 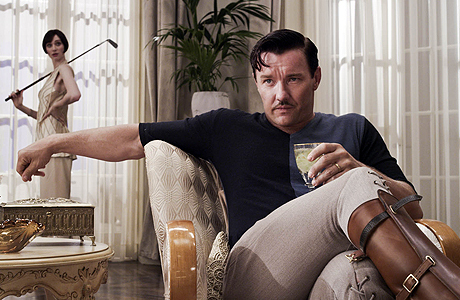 One such example is Joel Edgerton, an actor who has in the past repeatedly shown himself to be very talented. Yet, in this film he looks and feels completely miscast as Tom Buchanan, because for all his acting acumen it is not within his range to to fully capture the requisite combination of privileged entitlement and moral corruption. Another example of casting gone awry is in the case of Tobey Maguire as Nick Carraway, though this is less an example of miscasting and more that Maguire is just not much of an actor. In fact, I would go so far as to say that he is one of the more overrated talents in the business. His performance in this film is a perfect example of why I feel this way. What he does onscreen is not what one would call acting, nor is it a case of him playing a different versions of himself (a la Brad Pitt). Tobey Maguire just shows up and acts like himself – no matter the role. In fact, if you were to close your eyes and listen to him speak generic lines from each of his roles, you would be hard-pressed to figure out the right movie. That he serves as the narrator of the film and the person with the most screen time should serve as an indicator as to just how much of a miss this movie is. In regards to the man given top billing, Leonardo DiCaprio is surprisingly uneven in his portrayal of the complex Jay Gatsby. There are times when he is spot on with the role and other moments where things seem to drift awry. He does share strong chemistry with Carey Mulligan and that helps to cover up a lot of the film’s blemishes, but like the rest of the movie, his performance seems overly focused on the visuals as opposed to the nuances. Mulligan for her part does a nice job as Daisy Buchanan. Of all the performances in the film, hers is the one that gives the plot exactly what it needs. As for the rest of the cast, Isla Fisher and Jason Clarke are both good in very small doses but are in no position to dramatically upgrade the quality of the film. Ditto for Elizabeth Debicki whose portrayal of Jordan Baker in many ways embodies the decaying soullessness that defines the social scene in East Egg. Collectively the supporting players do a sound job manning the periphery of the plot, but unfortunately, too much of the film is left hanging on Maguire’s very limited acting range. In considering this film in its totality, it becomes apparent that this movie was doomed before a single image was captured on film. Poor directorial choices and weak casting no doubt laid the foundation for a flawed project. Sure, there are Luhrmann apologists who are going to blindly love this and those who have not read the book that will approach this with a blank slate and appreciate the tragic romance angle that drives this film. But to everyone else, it can be seen as nothing less than a disappointment and probably a film that most would be better served to avoid. If it’s on cable television, I wouldn’t fault anyone for giving it a look, but the truth of the matter is that the best version of this story is the one that resides within the pages of Fitzgerald’s book. 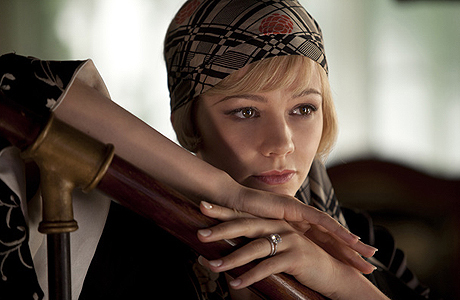 Standout Performance: Carey Mulligan. She does just enough to rise above the mediocrity of her co-stars. Maybe it was the delays, the rewrites, the reshoots, or the poor word of mouth. 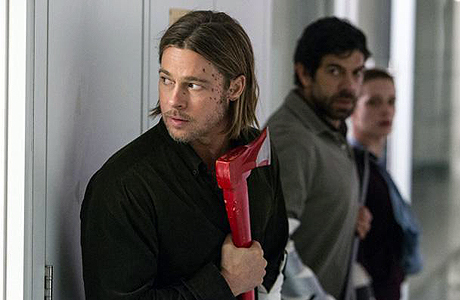 Whatever it was, I went into World War Z with diminished expectations. Like most movie adaptions, I assumed that it would pale in comparison to its source material (from novelist Max Brooks). And well, the film’s star - Brad Pitt - stopped being an actor and started portraying caricatures of himself a long time ago. So when I put all this together in my mind, there was no reason for me to go into this film with any kind of optimism. So maybe that is the reason why I came away from World War Z not completely disappointed. Does that mean it’s good? Not necessarily, but at least it’s not a crime against the cinematic arts. 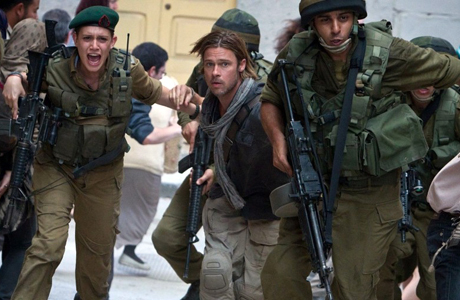 The plot of the movie finds Brad Pitt portraying a former U.N. Inspector, who is retired and living the life of domesticity in the suburbs of Philadelphia. When a condition that turns people into rabid zombies begins to afflict individuals at an alarming rate – one that threatens the future of all humanity, Pitt’s Gerry Lane is compelled to take on a globetrotting mission to identify the host and find a cure to the unknown virus. So the movie has some things going for it. It has zombies. And not just any zombies, but hopped up zombies who move fast and are in dire need of some serious anger management. Their erratic movements help to create a sense of tension that permeates the film and becomes a driving force for the pacing of the movie. In a lot of ways, the tempo of each scene is set by the actions of whatever zombies are on screen at that given moment. What the film does not have going for it is Brad Pitt. He’s not terrible in this one, but he’s also does not give off the impression that he is fully invested in the job at hand. There was a point in time in which Brad Pitt the actor completely gave way to Brad Pitt the celebrity and since then he has turned out a series of performances where he just shows up and plays a different version of himself. Unfortunately for Pitt, he is neither interesting nor dynamic enough to pull this off. In his ever attempt to seem “too-cool-for-school” Pitt fails to convince you that his Gerry Lane is a man with the fate of the entire world resting on his shoulders. And that hurts the movie, because it’s hard to care about what’s going on when the central character seems less than interested. However, the rest of the cast acquits themselves fairly well. 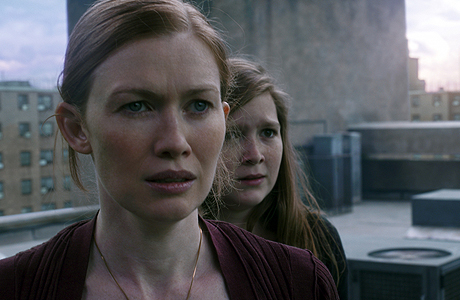 Mireille Enos, as Pitt’s wife, injects some sentimentality into the film and on some level personalizes the stakes. 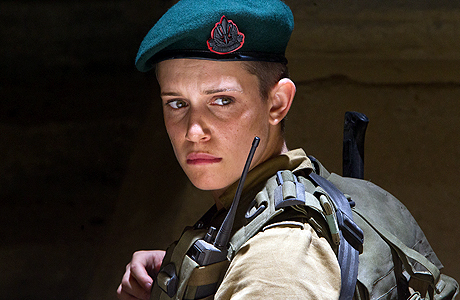 Daniella Kertesz (Segen), as an Israeli soldier working alongside Pitt, more than holds her own albeit opposite the walking mannequin that is our protagonist. Meanwhile, James Badge Dale, Fana Mokoena, and Perfrancesco Favino turn in better than average supporting performances in limited screen time. Needless to say, their collective work greatly helps mitigate the damage inflicted by Pitt. When I try to think of comparable movies to this one, I would say that it feels a lot like Spielberg’s War of the Worlds while its quality is on par with films like The Bourne Legacy and Total Recall (2012). It has fair pacing, well-framed action sequences, and a menacing antagonist to create this mix of suspense and adrenaline. Unfortunately, there is just not enough meat on the bones of this script and not nearly enough polish to Pitt’s performance to make this something other than an “also ran” in the action genre. So yeah, I guess you could say that diminished expectations probably made me not loathe this film, but not so much so that I would suggest you run out and buy it on DVD. This one screams Netflix/Red Box rental for the action film enthusiasts and TNT/TBS movie on a slow weekend for the more casual movie fan. As for those who consider themselves zombie genre purists or aficionados, you may find yourself put off by this big screen adaption. So consider yourself warned. Standout Performance: Mireille Enos. Her performance may not have been the epitome of great actor but it was definitely best in show. I’ve long been a fan of Sofia Coppola’s work – especially Lost in Translation, which ranks as one of my all-time favorite movies. That work really showcases Coppola’s ability to build out a robust story in spaces where very little seems to be going on. So when I heard that she was directing a feature starring the underrated Emma Watson (The Perks of Being a Wallflower), I was sure The Bling Ring would be a can’t miss project. Unfortunately, I may have been completely wrong in this assessment. The plot of the movie is based on the real-life events surrounding a group of misguided youths who take their pop culture obsession and excessive materialism to the extreme when they systematically burglarize the homes of Hollywood socialites. Designer clothing, gaudy jewelry, fast cars, and drugs lead this group deeper and deeper down this road of criminal self-indulgence even as the walls of justice close in on them. So let’s get right into it. 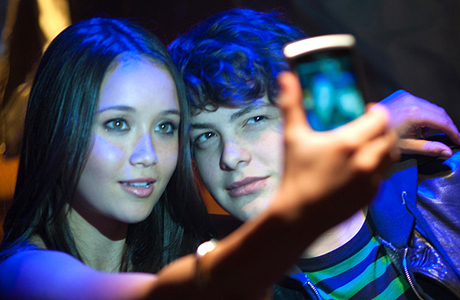 I am slightly unsure if The Bling Ring is really good, or really really bad. And here’s why. For a story that has a juicy mix of narcissism, insecurity, and deviance, the movie feels mundane and almost pointless. The characters are bland, vapid, and annoying and this makes for bad storytelling. It’s hard to relate to them or to empathize with them; and worse still to rationalize a single thing that they do. And as events unfolded and the plot thickened, I found myself increasingly disengaged and disinterested in their plight. However, the optimist in me who believes in Sofia Coppola as filmmaker wonders (ever-so-slightly) if this is by design. Some have hailed The Bling Ring as a brilliant commentary on youthful ambivalence and society’s shallow obsession with all things celebrity. To believe this then might suggest that my reaction to this film might be by design and thus a stroke of genius by the director. And as much as I would like to buy this, it’s just too tough a pill to swallow. First and foremost, storytellers are supposed to create narratives that are compelling and entertain and no matter what kind statement this film is trying to make, it fails to do either. It should come as no big surprise that Emma Watson is the best part of the movie and that goes beyond the obvious reasons. It’s always interesting to watch an actor take on a role that runs contrary to their previous work; especially so when they embrace the challenge the way Watson embraces the role of Nikki – an aspiring celebrity. She exudes superficiality, materialism, narcissism, and every other ism one would associate with the fringe of the entertainment industry. Her ability to capture the pseudo hoity valley girl accent is also a marvel. Unfortunately, Watson is in reality the third star in this film. Top billing goes to Katie Chang and Israel Broussard as Rebecca and Marc. As two youths who meet at an at-risk high school, they are the driving force behind the burglaries and thus the success of the movie rests on their inexperienced shoulders. Chang’s performance is empty and bland rendering her character uninteresting, while Broussard’s is hammed up and overly eager. In some ways their work should compliment one another, but their respective performances only work to drag the film deeper into mediocrity. As for Claire Julien and Taissa Farmiga (sister of Vera) as the final two members of the crew, I believe you could walk to your local mall and pick out any two people to take their respective places and get the same level of performance. To say that the un-dynamic duo add very little to the movie is a gross understatement. And Leslie Mann, well one can only wonder who she owed a favor to, because her presence in a movie of this ilk is both odd and perplexing. So you might have surmised by now that this is not a particularly good movie. I am going to guess that you could probably find a movie-of-the-week on Lifetime Network or Oxygen that is on par with (if not better than) this one. It lacks that big picture feel and a compelling narrative to warrant a theatrical release. Now perhaps someone smarter than me with a better eye for cinematic art can tell you what nuances I missed or why this is actually a film of great merit, but as a regular movie enthusiast I believe that it flat out stinks. I would avoid this one at all cost, but then you probably don’t really have to go out of your way to miss it. It’s not going to get a big marketing push on DVD or show up on any interesting lists. Instead I would direct your attention to The Perks of Being a Wallflower to get your Emma Watson fix. In my opinion, it was one of the best movies of 2012.